Have you ever thought about the benefits of gardening? 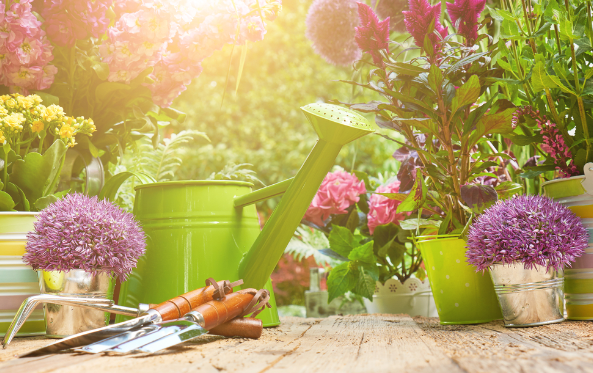 Some of us have more of a green thumb than others but it’s an activity that people of all ages can enjoy. After sitting at a desk all day, it’s important to get outside and get some fresh air! A recent study in the Netherlands suggests that gardening can fight stress even better than other relaxing leisure activities. Not only is gardening a stress reliever, it improves our mental and brain health and helps with our nutrition. Studies show that gardeners eat more fruit and vegetables than their peers. The food you grow yourself is the freshest and healthiest food you can eat. Also, homegrown produce just tastes better! Just because you live in an apartment, don’t think you have to miss out on any of these benefits at Third & Valley. The South Orange Community Garden is committed to supporting and operating a recreational, organic community garden for the residents of South Orange for the promotion and education of organic, sustainable and edible plant culture. The Garden is located in a small portion of Riverside Park, located on West Third Street near Church Street, across from the west bank of the Rahway River’s east branch. The Garden consists of 49 raised-bed garden plots. Registration for the garden begins in April and plots go quickly, so make sure to mark your calendar for next year! Until then, here are some tips for growing plants in your apartment along with a list of the best plants for indoor use. We are extremely lucky to have a community garden in South Orange which helps promote a healthy lifestyle! Take advantage of this great local amenity. Your cooking will thank you.